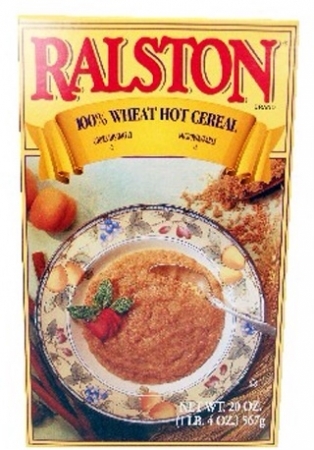 Ralston hot cereal was NEVER discontinued. When the Ralston dry cereals were sold to General Mills some 20 years ago. Ralston hot cereal stayed with the company that was left, Ralston Foods (Ralcorp). In 2015 Ralcorp was sold to ConAgra Foods, who did drop RyKrisp crackers. ConAgra sold Ralcorp to Tree House Private Brands in 2016. 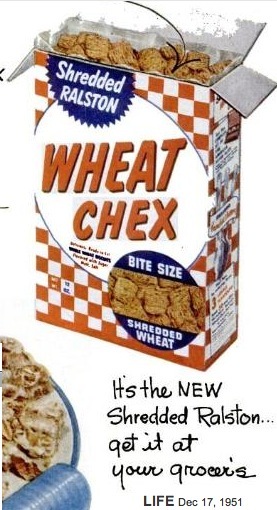 Maybe you're thinking about Shredded Ralston (a few years before my time): It was reformulated about 1950 and renamed Wheat Chex. I loved this stuff! Was disappointed when it was discontinued. "Tom Corbett, Space Cadet" was sponsored by, "Rice Chex, Wheat Chex, and good hot Ralston." Cold mornings + steamy hot Ralston cereal with milk and sugar = yummmm.